The Hitchens brothers - that would be Christopher and Peter - have been debating whether "civilization can survive without God." It's not a surprising topic for these two, given the focus of their respective books, such as God is Not Great (2007) and The Rage Against God (2010) (I recently reviewed the latter for a forthcoming issue in the Christian Research Journal). First, New Atheists try to insist that “conflicts found in the name of religion are necessarily conflicts about religion” (127). But that doesn’t follow, Peter rebuts, because “man is inclined to make war on man when he thinks it will gain him power or wealth or land” (127), regardless of religious reasons or motivations. Moreover, Peter argues that there is an “undeniable link between atheism and anti-theist regimes," e.g., Soviet Communism (137-140). Second, New Atheists claim that it “is possible to determine what is right and what is wrong without God” (chapter 10). But to be “effectively absolute,” observes Peter, “a moral code needs to be beyond human power to alter” (141). Otherwise, “if I pull down the pillars of the moral universe, I too will be crushed when the roof falls” (152). It seems that a decent amount of what is present in Peter vs. Christopher, especially in light of the above observations, is a detectable yet often implicit discussion about the nature of "earthly powers" (social, moral, political, economic, religious, etc), including what tradition has a more realistic and humane conception of it, and who knows how to best use it for the good of all people? (one could read James Davison Hunter's To Change the World as a fruitful dialogue partner in this discussion). How one lands in the "power discussion" as a theist (especially as a Christian) vs. an atheist, would seem to be where arguments for or against God's existence are prompted, or so it seems to be the case for at least the Hitchens brothers. But how one treats and relates to earthly power is connected to public witness and presence, which is part of the Hunter thesis: Late modern Christian presence and witness in the world is wounded (if not, in some cases, severely challenged and corrupted) by a failure to understand and appropriately act with power, especially of the political kind. If correct, would that not make the plausibility of Christian witness less convincing? Now, how might readers in Christian philosophy and apologetics further appreciate The Rage Against God? I raise this question because a book like this could be easily pigeonholed as just an “apologetics” book or just an “autobiography.” Of course, it is an autobiography about a famed British journalist’s recovery of Christian belief, who also happens to have a famed atheist brother. Indeed, the book can also be read with an eye toward understanding more about Christopher's atheism, especially when read in conjunction with his Hitch 22, both of which were released before the announcement of Christopher’s battle with cancer. But Peter’s is more than just “spiritual autobiography” or even an “intellectual autobiography” about the transformation of the “inner life” (a person's beliefs, thoughts, affections, will, ideas, etc) as the genres may be typically understood. It is autobiography intertwined with cultural observations and historical mindfulness. Peter communicates about “how atheism led me to faith” from within a broader cultural environment than just the context of a change in worldview beliefs. I found this to be refreshing given the often over-marketing (in some quarters) on “worldview” or “presuppositions” as driving – some might even argue, determining – change in beliefs. Moreover, one can genuinely experience first-hand acquaintance with Western – especially British – cultural history in these pages. But it is more than just journalistic expertise brought to bear on world-changing events. 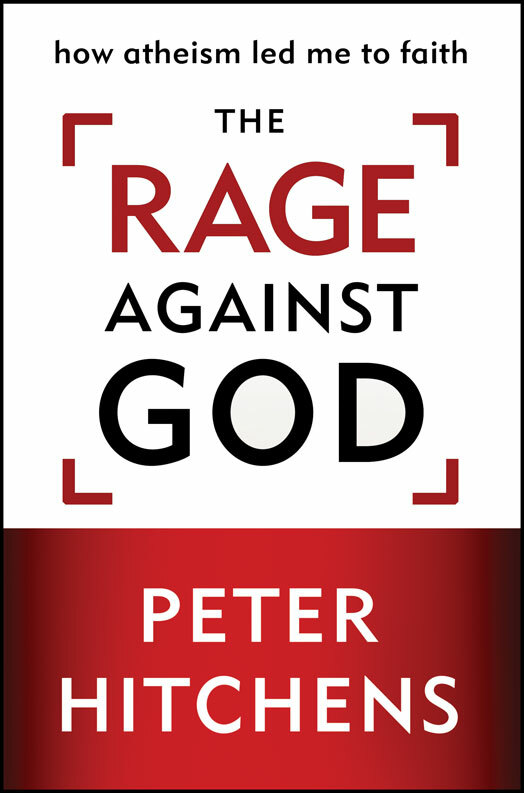 The book is especially useful for someone with a desire to understand how someone could be an atheist, indeed, how someone was an atheist as a result of first having a profession of faith, even if only a kind of culturally expected, traditional English Christian faith (you'll need to read Rage Against God to learn more about this important background). If one reads Peter’s book with an eye toward wanting to understand the sociology of (especially religious) belief formation, which you would want to pay attention to in an autobiography of this type, it is not only fascinating to read but it is illuminating. For it is a useful case example of how people come to have Christian beliefs beyond just being persuaded by a sound, valid and nifty syllogism, or by the force of an air-tight case for Christian claims. Readers engaged in apologetics, worldview training, or those conversing with atheists should definitely read this book for the obvious way that it can help provide “insider” thinking from a former atheist. But this isn’t the only reason why it should be read and enjoyed. The book reflects the perspective of a “sociological imagination,” to borrow from C. Wright Mill’s phrase, concerning the fruitful interrelationship between biography, history and society in Peter’s narrative. His journey is an excellent case study of how the sociological formation of theistic or anti-theistic beliefs is a relevant factor to how a worldview changes, which is suggestive of the fact that ideas and nor mere intellectual ascent are the only things that have consequence when coming to believe something. For example, there’s a whole range of factors that underwrote Peter's process of having a change in belief from atheism to Christian theism: the powerful cultural images, assumptions, various moods and attitudes in his mental environment, acquaintance with political power (British and Soviet) and its consequence for understanding authority, including divine authority, the problem of unbridled British patriotism and its idolatry, and not the least of which, the problem of living life as though desire-fulfillment and freedom were ends in themselves. What changed for Peter? Initially, several harsh encounters with reality that challenged his then Marxist revolutionary outlook while living in corrupt, Soviet Moscow and reporting on a deteriorating Mogadishu in the early 1990s (chapter 6). But what was transformational was his encounter with Rogier van der Weyden’s fifteenth-century painting, "The Last Judgment," where Peter “had a sudden, strong sense of religion being a thing of the present day, not imprisoned under thick layers of time,” including a recognition that “[he] had absolutely no doubt that [he] was among the damned, if there were any damned” (103). But when he returned to Anglicanism as a “prodigal,” he shockingly discovered how his own generation had deconstructed that tradition in Britain (106-123), leaving a gaping cultural hole for aggressive atheism to fill in society. Moreover, there is a detectable yet sometimes underdeveloped “cultural apologetics” in Peter’s autobiographical narrative, which argues that Christianity, not atheism, is better for civilization. This is what shows up in the Peter vs. Christopher debates. This type of apologetics endeavor is present for at least two reasons: For one thing, it coheres well with the overall historical-cultural trajectory that Peter already narrates about his life as a journalist in Britain or in Soviet Moscow. Second, since he wrote the book as a result of his long-standing discussion with Christopher, and Christopher has seriously tried to challenge the good of Christianity’s cultural capital, it’s not surprising that Peter would respond by showing how atheism has not been good for culture or for the political state of things, for example in Britain and certainly in Soviet Moscow (see especially chapters 6, 8, and 11). First, Christopher’s “passion against God” had grown “more virulent and confident” during Peter’s “gradual, hesitant way back to the alter-rail” (11). Peter is squarely in touch with how passions can drive people’s beliefs and life compared to having them ordered by knowledge of what is real. “It is my belief that passions as strong as [Christopher’s],” observes Peter, “are more likely to be countered by the unexpected force of poetry, which can ambush the human heart at any time” (12). For some, this comment is itself unexpected. Aren’t the passions of Christopher’s anti-theism supposed to be merely countered by stronger intellectual arguments for God’s existence? Second, as with all atheists, Peter says that “Christopher is his own chief opponent. As long as he can convince himself, nobody else will persuade him” (12). At the very least, anyone who debates atheists, especially Christopher, should keep this advice in mind. Third, the anti-theist “refusal to accept that others might be as intelligent as they, yet disagree, leads them into many snares” (12). Not surprisingly, in a 2009 Slate article, it seems to have taken great pains for Christopher to admit that as a result of extensively debating theists, there just might very well be an intelligent opposition to his claims. But for the above reasons and more, Peter does not expect Christopher to undergo a “death bed” conversion. Nonetheless, do you see some wisdom embodied in these observations by Peter? He offers these sorts of insights (and there are others!) in order to help people “understand their unbelieving friends and so perhaps sow some small seeds of doubt in the minds of those friends” (11). Notice the apparent “strategy”: help anti-theists doubt their doubts or at least doubt why they should hold their anti-theism with such certainty. Why does that matter? That would seem to be significant if in fact anti-theism – or any worldview for that matter – is driven mostly by passions and not by knowledge. Or, as Peter acknowledges, “I became convinced [to be a Christian], by reason and experience” (11). In The Rage Against God, Peter - the prodigal Anglican - may be more of a spiritual guide of how souls are formed than he might even acknowledge. Philosophers and apologists do well to pay attention to this integration of "heart" and "mind" when thinking about religious or anti-religious belief formation (of recent, Jim Spiegel takes this into consideration in his book on atheism, or one might consider Paul Moser's "idolatry project" and its relevancy for his "kerygmatic philosophy"). Peter's book can be germane for developing insightful, pastoral care when interacting with anti-theists, which is not a substitute for developing superior arguments for Christian claims; but surely, superior arguments in the absence of genuine care is not very humane nor a good use of power.